Newly emerged video footage shows the moment a Pakistani student who attends a Turkish school in Islamabad bursts into tears after she learned the Pakistani government had decided to expel 108 Turkish teachers from 28 international schools across the country. “To every other teacher, to every other person on this planet, to all the Turkish people, I will say one thing. They [the teachers] do not deserve this. They do not deserve whatever is coming at them. Even the bad teachers were never bad people. They don’t deserve to go to jail. They had children who deserve an education. When you take them [the teachers], you are taking away my rights, my education and everything I care about and everything that I love,” said the student in the 62-second video that was viewed hundreds of times on Twitter. Pakistani government has expelled 108 Turkish teachers from 28 international schools across the country, along with their families, numbering up to 450 in total, in a politically motivated move that came ahead of an official visit by Turkish President Recep Tayyip Erdogan. 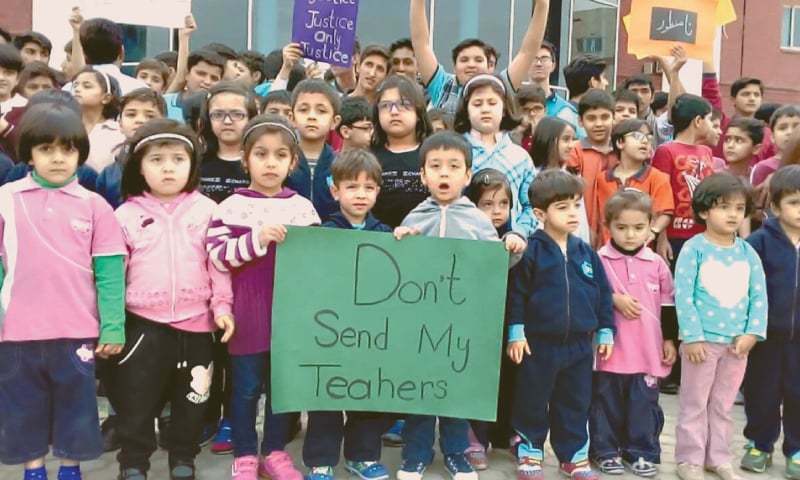 PakTurk International Schools and Colleges posted a statement on its website on Tuesday voicing concern about the decision of the Pakistani government with regard to the Turkish teachers working at these schools in Pakistan. “PakTurk International Schools and Colleges are deeply concerned over the abrupt decision of the Government requiring the Turkish teachers, management and their family members numbering to approximately 450 individuals including the school-going children, infants and ladies to leave the country within three days – an extraordinary time constraint – in consequence of non-approval of their requests for extension of visa,” said the statement.